To think that just two days ago in this very journal I was heaping praise upon the 2012 F1 season, saying it almost certainly would go down in history as a great one. Yet next thing you know fate took hand and such status was ever so briefly thrown into some doubt. 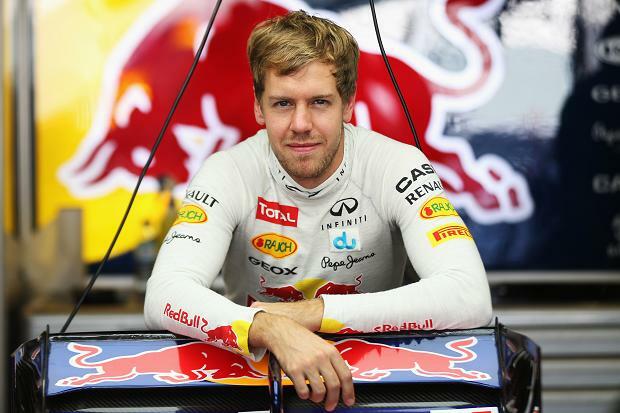 As you're no doubt aware by now there's been one heck of a rumpus over the last day or so - all about Sebastian Vettel and yellow flags and world championships. 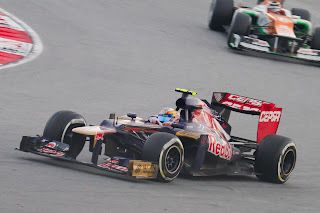 A YouTube analysis of Seb's onboard footage from the Brazilian Grand Prix suggested that he on lap four had passed Jean-Eric Vergne under yellow flag/lights (not allowed), which if guilty and if the FIA had chosen to punish it post hoc would have likely taken the 2012 drivers' title from Seb and handed it in turn to Fernando Alonso. No small fry. As it was, rather like a firework it was all gone just as quickly as it exploded, as the FIA confirmed today that there was a green flag waved by a marshal (in the footage but admittedly not especially clear) and therefore ending the yellow 'zone' before where Seb made the pass. Thus, case closed and Seb's title is safe. And I'm glad of that. 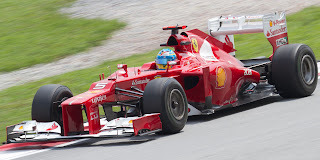 As regular readers of this blog may have worked out by now I bow to few in my admiration of Fernando Alonso, but had he won the title this way - with the stroke of a pen rather than with pedals and a steering wheel - it would have had a hollow ring. And I'd be disappointed in Nando if he didn't, deep down, feel the same way. Plus, it would have in no way been a quick, clean execution. Instead it almost certainly would have been a drawn out and messy process, involved appeals and counter appeals as well as a load of bitterness and acrimony, and would have carried on throughout much of the winter. Once it was all resolved left standing would have been two rather bloodied and bruised fighters. None of this would have been good for anything, least of all F1's image. It is most probably the one aspect of F1 that most bewilders the uninitiated that I speak to: just how is it possible to have a race and everyone to go home thinking they saw the result established in it, only for the result to be amended by officialdom later? It's a concept almost entirely unthinkable to those who follow most other sports. Well, in part it's the nature of the beast of course, in that rules are rules and motor sport isn't the sort of activity wherein instant justice can be applied easily. It's impossible that the equivalent of a referee can blow a whistle, everyone stops and a yellow card can be handed out, during a race. Further, a motor race doesn't have the natural stoppages that cricket, tennis and a host of other sports have. So to some extent we have to live with penalties handed out later. But the potential, revealed by this case, of a result being amended days after the event seems the height of silliness and only serves to make the sport look rather foolish. Perhaps one thing to learn from this case is that the time limit beyond which the FIA cannot open up and tamper with a race result needs to be severely tightened. Should we cut Ferrari some slack? At virtually the same moment as FIA announced that Seb did not have a case to answer Ferrari, with spectacular poor timing, announced that it had sent a letter to the FIA requesting clarification on the matter. Presumably it'll get the same answer that everyone else has. This has led to many to indulge in some time-honoured Ferrari-bashing, to the effect of 'typical Ferrari' and that the Scuderia is being sore losers. 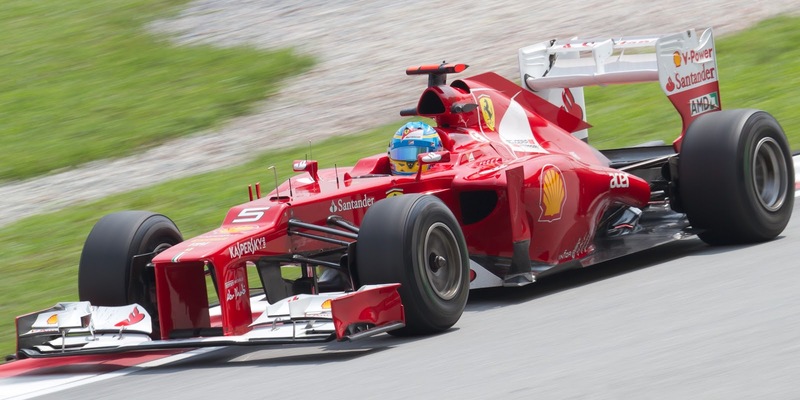 This is a pity, as Ferrari up until that point had reacted to its Interlagos defeat in an exemplary fashion. But moreover, did Ferrari not just do what any F1 team in that situation, including Red Bull, would have done? Surely it would have been remiss to not have at least asked the question of the FIA? Indeed, as Adam Cooper pointed out today, pitwalls asking for penalties is pretty much a constant feature of any race. (As an aside that Ferrari missed the pass at the time suggests that it doesn't monitor other cars very closely, or else didn't do a very good job of it last Sunday). Further, if we wind back five years to find McLaren being in a similar scenario we find that team reacting in the same way, indeed it did more as it protested the result of the final race of the year, while Ferrari stopped short at merely requesting clarification (it's also been frustrating that many have talked of Ferrari 'protesting' the Brazil result when it did no such thing). Ferrari hasn't always done itself favours, historically it is a team way too quick to point at the rule book. But let's cut them some slack on this one. And more broadly, should we be quite so surprised and offended when politics manifests itself in F1? Sadly, F1 and politics are largely nondetachable (especially given the money that sloshes round the sport). To borrow ever so slightly from Enoch Powell, for an F1 fan to complain about politics in the sport is like a ship's captain complaining about the sea. It can't be avoided in other words, it simply must be negotiated. Rather like non-instant justice, perhaps it would be more sensible to view politics as part of the beast. There were also a couple of other things associated with this 'flag gate' case, not widely picked up elsewhere, that I thought interesting. One is, this all underlined how the world has changed. It was a matter entirely raised, deconstructed and even ultimately resolved via the new media. Not everyone was positive about this fact, but I thought that, by and large, the new media played a blinder on this. Of course, as a blogger I suppose I should declare an interest, given I could be termed as a 'representative' of the new media (to paraphrase Mandy Rice-Davies - 'I would say that wouldn't I? '), but I was struck certainly by the quality of the initial YouTube analysis of Vettel's passes, which indeed demonstrated a much firmer grasp on the rules of flags/lights than Sky TV for one did last Sunday, as well as of the quality and insight of most of the subsequent discussion on forums and the like. Of course, as is the way with these things it wasn't perfect; there was a sizeable accompanying dose of bickering and what I call 'whatabouterry' between partisan fans on both sides which helped no one. Plus an exterior shot, taken from turn 4 and looking down the Reta Oposta straight, did the rounds purporting to absolve Vettel as it clearly showed a green flag. The problem was it was taken on the lap before! And it was an enhanced analysis of the onboard footage, also revealed via the new media, which revealed the waved green flag that did eventually absolve Seb. And by the time the new media debate had come full circle the established media hadn't even got its boots on it seemed. But whatever one thinks about new media, such as YouTube, chat forums and what might loosely be termed 'citizen journalism' (and much of the established media in F1 and elsewhere likes to throw brickbats at it), it cannot be ignored. The genie is not going to return to the bottle. Such cases will arise again in the future. And with Formula One barely out of the starting blocks in terms of the new media perhaps this case, with F1 footage used liberally and presumably without permission, shows that Bernie should start to ride the new media mule rather than fight a losing battle in trying to keep it in its stable. the most interesting part of the case? But in my view the most fascinating aspect possibly of the whole case has nothing to do with the colour of flags or lights, or with the potential of the world drivers' title being taken from one driver to another. It was that Vergne in his Toro Rosso quite obviously lifted out of the throttle on the Reta Oposta straight in order to slow to let Seb by. This was interesting in itself. Red Bull owning a 'B' team in Toro Rosso isn't new, and for the most part has remained above board (though the footage of Jaime Alguersuari having strips torn off him by Helmut Marko in Korea last year, having held up Seb in a practice session, left an unpleasant taste). Also not new is more than one F1 team being owned by the same person - as Flavio Braitore owned both Benetton and Ligier simultaneously for a period in the 1990s. And of course we have team orders in F1, and they're within the rules if often controversial, but what appeared to be one team assisting another seems one clear stride beyond that. Ownership of more than one competitor by the same entity has clear potential for conflicts of interest, and as such is the sort of thing that would never be allowed in most sports. The equivalent in football would be Manchester United deciding to buy Norwich City; hard to imagine isn't it? And had something like Vergne's assisted pass by Seb happened in horse racing it likely would have been referred for investigation as a possible race fix. At what point do we draw the line in F1? Presumably we wouldn't allow a team to purchase the rest of the field? Especially not if the drivers of the other teams started to get out of the throttle in a straight line to let them past. And while this may be deliberately facetious point it's also the logical conclusion. Perhaps the FIA shouldn't have allowed such multiple ownership in the first place. You make interesting points about the season. I for one am against Red bull owning, and therefore having control over race positions in a race scenario. I think it shouldnt be allowed and I think that we should move closer to all the teams racing eachother in the constructors and all 24 racing each other for the DWC.